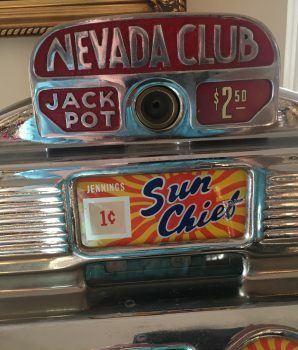 Original Jennings 1 Cent Chief for the Nevada Club Lake Tahoe Reno Antique Slot Machine. 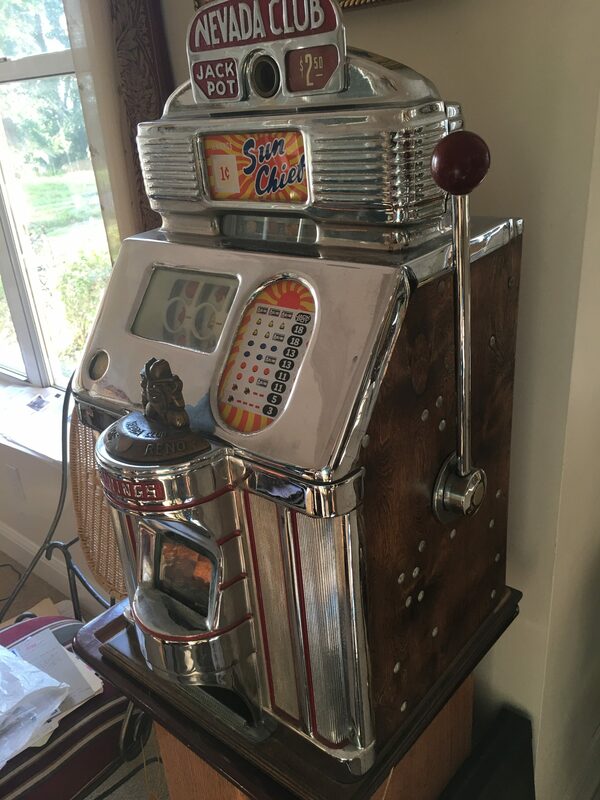 This original vintage slot machine features the Nevada Club Mascot. 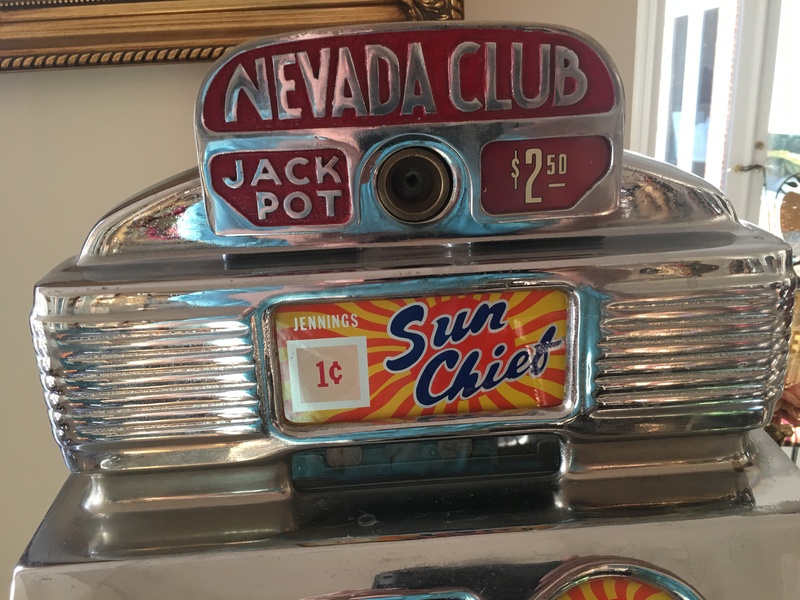 The reel strips also has the Mascot imprinted logo. 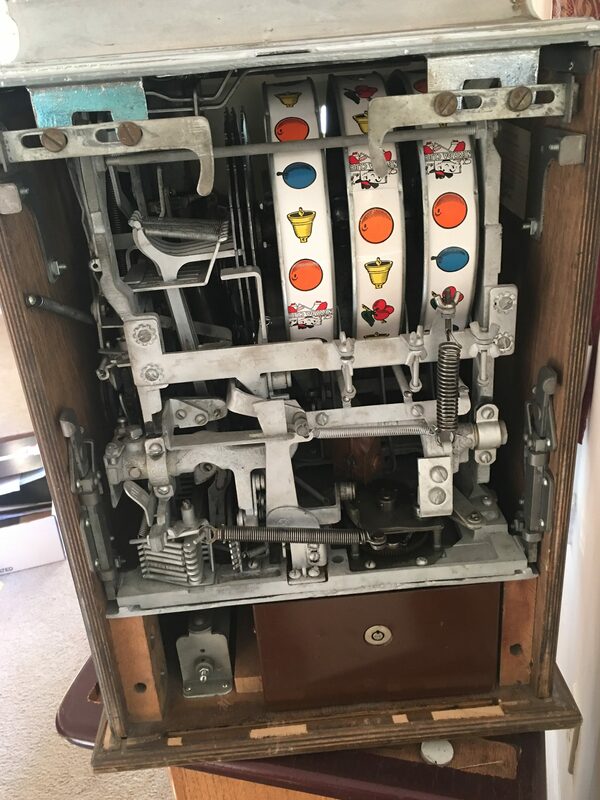 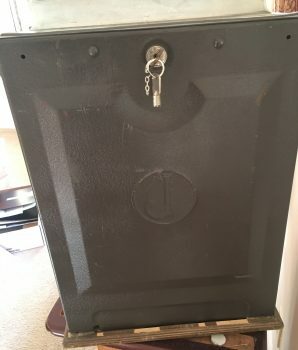 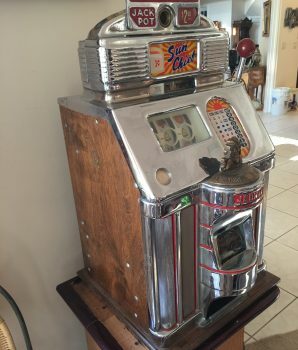 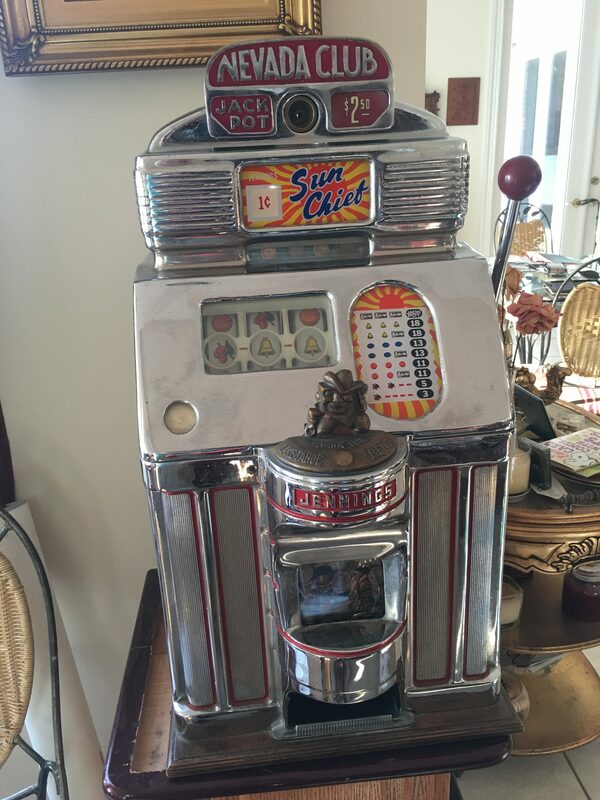 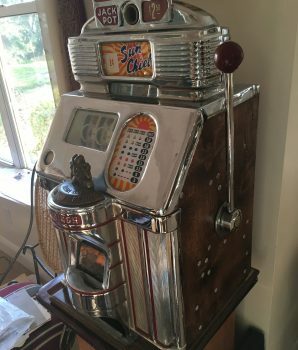 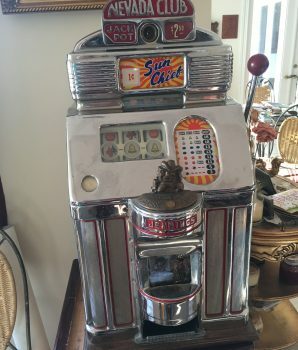 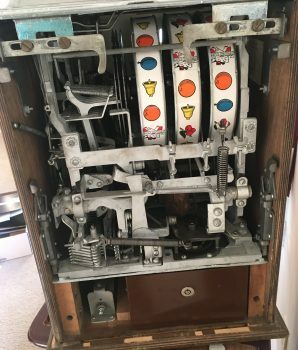 This all original machine has a nice chrome finish, comes with key and original cash box. 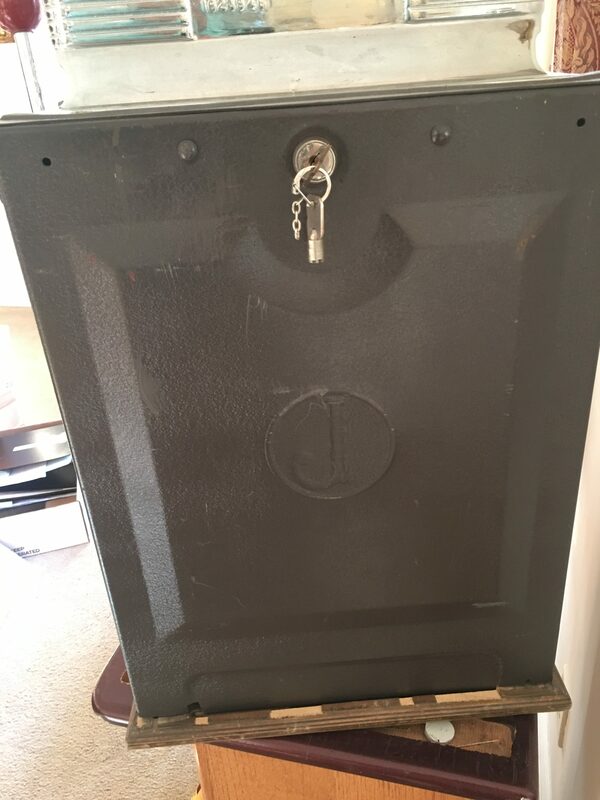 Approximately 27″h x 17″d x 15″w. 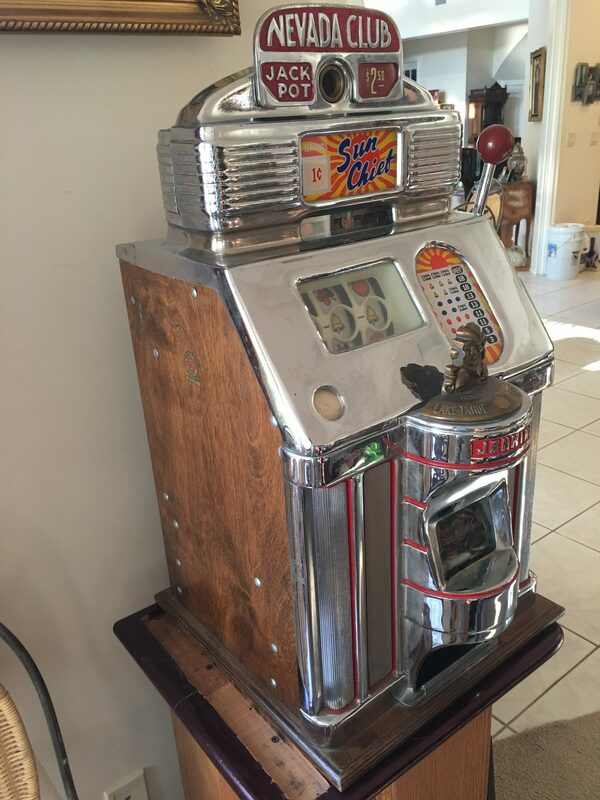 We offer slot machine stands fir sale.